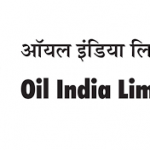 Oil India Ltd., a Navratna Public Sector Undertaking is the pioneer and second largest national upstream Oil and Gas Company with a pan India presence and growing global footprint. OIL is all set to conquer newer horizons of all-round growth and excellence. It is engaged in exploration, production and transportation of crude oil, natural gas and manufacture of LPG with its Fields Headquarter (FHQ) at Duliajan, Dist. Dibrugarh, Assam. Educational Qualification: Post Graduate Degree of minimum 02 years duration in Hospital Administration or MBA in Health Care/Hospital Management from a Govt. recognized University/Institution. Post Qualification relevant experience (in years) as on 29.12.2018: Minimum twelve (12) years of Post Qualification experience of working as Hospital Administrative Officer in any PSU/Government, Private Undertaking or reputed organization including eminent Hospitals/Health care institutions. How to apply: Candidates fulfilling the above criteria may apply online by visiting http://www.oil-india.com/oilnew/Current-openings from 29.11.2018 to 29.12.2018.